To Cite: Saiednejad Z, Mirbagher Ajorpaz N, Aghajani M. Application of Empowerment Program on Self-Efficacy of Patients Under Hemodialysis: A Clinical Randomized Controlled Trial, Crit Care Nurs J. 2018 ; 11(3):e81054. doi: 10.5812/ccn.81054. Background: End-stage renal patients conformed to a variety of physical and psychological problems. Self-efficacy is regarded as an essential component to achieve a desirable condition in these patients. The aim of this study was determined the effectiveness of empowerment program based on the BASNEF model on the self-efficacy of patients under hemodialysis. Methods: The present study was a randomized, single-blind, parallel, controlled clinical trial that was performed on 60 patients who referred to the Hemodialysis Centre of Kashan University of Medical Sciences, Iran. Participants were assigned to two groups based on block randomization allocation. The intervention group (n = 30) received 8 sessions of empowerment program and the control group (n = 30) received the routine cares for 4 weeks. Data were collected by a Sherer's general self-efficacy questionnaire at baseline and end of study and analyzed using Chi-square, independent and paired t-test in SPSS 13v. Results: The study was completed by 58 participants. However, as the analysis was based on an intention-to treat approach, all 60 patients were included in the final analysis. Comparison of the two groups showed that the total scores of the self-efficacy were increased after intervention (65.86 ± 16.42 vs 50.3 ± 18.02, t = 3.24, P < 0.002). In addition, significant difference was observed between the mean score of self-efficacy in the intervention group prior to and after the empowerment program (P < 0.0001), while no significant change was observed in the control group, before and after the study (P = 0.17). No harms and side effects associated with intervention were in the groups. Conclusions: The empowerment program was effective on self-efficacy of patients with end-stage renal diseases undergoing hemodialysis. Therefore, it is recommended that this program be used to increase self-efficacy in medical settings. Copyright © 2018, Critical Care Nursing. This is an open-access article distributed under the terms of the Creative Commons Attribution-NonCommercial 4.0 International License (http://creativecommons.org/licenses/by-nc/4.0/) which permits copy and redistribute the material just in noncommercial usages, provided the original work is properly cited. Hemodialysis is an alternative and long-term kidney treatment for end-stage renal disease (ESRD) patients. Currently, hemodialysis is the most common way of treating ESRD patients in the world (1, 2). A total of 80% of dialysis patients in the world and 50% of ESRD patients in Iran undergo hemodialysis as a treatment (1). Hemodialysis is necessary to maintain the survival of these patients (3). These patients comfort with a variety of side-effects and physical problems like cardiovascular, pulmonary, nervous, gastrointestinal, musculoskeletal and skin problems, and anemia (4); different psychological problems like sleep disorder (5), anxiety and depression (6), and vocational and financial problems (7). Since, the health condition of these patients is a function of four therapeutic aspects included in limitations in using liquids, special diet, using drugs, and regular dialysis (8); while various studies reported that about 12.5% to 98.6% of hemodialysis patients do not adhere to their medication regimen (9, 10). Poor adherence in hemodialysis patients often leads to additional tests, change in treatment design, change in dosage of consumable drugs, frequent hospitalization, and ultimately increase in healthcare costs (11). Therefore, controlling the problems and side effects as well as improving health of the patients depends on their participation in the treatment and care process; their self-efficacy is necessary to achieve a desirable life (12). The self-efficacy is an individual's belief in his or her innate ability to achieve goals; therefore, the person is able to do a self-care task to achieve the desired results (13). That is an important prerequisite for behavior (14), which can affect the person's life and manage their health behaviors (15), however, according to the reports, the level of self-efficacy in hemodialysis patients is undesirable (16, 17). Empowerment is a process to facilitate behavioral changes and an approach to improve independence of the patient in adopting behavioral changes (18). Evidence suggests that there is a significant relationship between empowerment and self-efficacy in hemodialysis patients (13, 19) and implementation of empowerment programs creates a sense of empowerment, increases confidence in doing self-care (20), improves health care management, decreases the work load of health care personnel (21), improves self-efficacy, and increases the quality of life and general health of hemodialysis patients (19). On the other hand, there are studies that have argued that empowerment programs are ineffective, trivially effective, and inefficient. For instance, the study of Karamanidou et al. (22), reported that despite the increase in knowledge, educational intervention did not have a permanent effect on adhering medical orders and the blood phosphate level of hemodialysis patients. In addition, another study reported that self-regulation program in hemodialysis patients wasn't effect on the self-efficacy (14). ESRD patients are at a high risk for critical illness and need critical nursing care (23). Identifying solutions to improve the condition of these patients is difficult (24). Critical care nurses have very important roles during the care of these patients such as educator, advocator, collaborator, and supporter (25) to realize behavioral changes and empower the patients, these nurses need to be aware of the factors effective on development of a behavior. Behavioral models and theories facilitate the process of change (26). Among these, BASNEF model is used to study and detect behaviors and create new behaviors in health seekers (27). This model combines the PRECEDE model with the theory of reasoned action, and the items of the model are belief, attitude, subjective norms, and enabling factors. According to the model, people will demonstrate a behavior only when they realize that it is beneficial for them. In addition, the model surveys and determines the enabling factors that create behavior change motivation in the subjects (26). Studies have shown that traditional educations that do not use educational models and rational and orderly procedures fail to induce behavioral changes (28, 29). Research of Hazavehei et al. (29), showed that the educational program based on BASNEF model was more effective than traditional educations on inducing behavioral skills change. Studies based on BASNEF model have supported effectiveness of the model on inducing changes in behavior. In Iran, the model has been used to examine its effectiveness on improving self-care behaviors in women with hypertension (28), healthy behavior in Iranian youth (30), and the nutrition of diabetes patients (31). The study of Izadirad et al. (28), reported that attitude, enabling factors, and subjective norms can predict the self-care behaviors of patients with hypertension and among them, enabling factors were the most effective. Moreover, in the study, despite improving self-monitoring behavior in patients with hypertension, no significant correlation was among attitude, enabling factors, and self-monitoring (32). Moreover, the authors did not find any studies on empowerment based on the BASNEF model in hemodialysis patients. Thereby and given the long-term hemodialysis that the patients have to go through and the side-effects on their lives including a variety of physical, mental, social, and economic problems, the need of these patients for critical nursing care and given the inconsistent results about the effects of empowerment programs in hemodialysis patients, necessity of using behavioral models, and the effect of BASNEF model on other chronic disease (28, 31), and introducing empowering programs based on a reliable behavioral model is of great necessity. This study was conducted to investigate the empowerment program based on the BASNEF model on self-efficacy of patients under hemodialysis. The present study was a randomized, single-blind, parallel, controlled trial conducted from April until May 2017. The participants were 60 patients who referred to the hemodialysis center of hospital of Kashan, Iran. For estimating sample size, we used the standard formula suggested for parallel clinical trials by considering the type 1 error (α) of 0.05 and type 2 error (b) of 0.20 (power = 80%). According to the evidence (33), we used 10 as the s1 and 10 as s2 as a key variable. Therefore, we needed 30 participants in each group. The inclusion criteria included: age 18 to 65 years, having a medical diagnosis of chronic renal failure, willingness to participate in the study, not having a known psychiatric disorder, dementia and mental retardation, absence of brain disorders (such as Alzheimer’s, stroke, or transient ischemic attack), and ability to respond to inquiries and attend meetings. The exclusion criteria included: death of a patient, being uncooperative or a patient’s decision to withdraw from the study, occurrence of any acute or urgent medical or psychological upheaval, and the absence in more than two training sessions. Participants were selected with convenience sampling. The candidates were informed on the objectives of study, the type of study, the benefits of participations, and confidentiality of their information. Those interested were asked to fill out an informed consent form of participation. Study instruments were filled out by second author based on self-statement and the illiterate and disabled patients were interviewed. Then, eligible patients were divided into two intervention (30 cases) and control (30 cases) groups using block random allocation. The third author performed the block random allocation with four blocks and one code was assigned for each participant. Random assignment was performed using computer-generated random numbers. The study intervention was featured by the first author with attendance of a trained nurse at the morning and evening shifts in a hemodialysis hospital. Furthermore, the patients in the intervention group were categorized into four subgroups of 4 - 10 members. Each subgroup attended an eight-session empowerment course (four weeks, twice a week, 40 - 60 minutes each) based on the BASNEF model in a specific space dedicated for educational purposes in the hemodialysis ward. The subjects in the control group received the routine cares and educations. In addition, they received an educational pamphlet designed according to the National Institute of Digestive, and Diabetes and Kidney Diseases (NIDDK 2016) (34). In the intervention group, for examining the actual effect of the empowerment program based on the behavioral model, the tool was completed one week after the completion of sessions. In addition, one month after initiation of the study in the control group, a questionnaire was filled out of patients by the second author. Data analyzing was performed by the third author. The empowerment program was based on the BASNEF model and following the interventions introduced in previous studies (19, 20, 27). The model is composed of belief, attitude, subjective norms, enabling factors, behavioral intention, and behavior constructs (Box 1). A total of eight university professors, with related expertise, verified the empowerment program materials. - Introduction, stating the objectives of the study, the benefits of the program, count and structure of the sessions. - Discussing the problems and expressing feelings, beliefs, and thoughts as to hemodialysis and lives of the subjects. - Explaining the nature of renal failure, its effect on the body organs and necessity of hemodialysis. - How to perform behaviors; the behaviors were divided into smaller chunks to give a better chance to the subjects to perceive the behaviors clearly and demonstrate them better. a. Introducing the common side-effects of hemodialysis such as hypotension, muscles cramp and the ways of preventing and treating them. a. Introducing limitations on food and drink stuff and consequences of neglecting them. b. Expressing necessity of regularly checking weight, edema, and blood pressure. c. Expressing approaches to prevent and diagnose extra fluid pressure, the concept of dry weight, and how the survey and weigh edema. d. Introducing prescribed drugs, how to when to use them during dialysis and non-dialysis days, the reason for prescribing them, the potential side-effects, and informing the health personnel about development of the side-effects. e. Explaining methods of taking care of vascular access areas. f. Explaining the proper balance of physical activity and rest. g. Discussing necessity of exercising and sports suitable for hemodialysis patients. a. Explaining stress, anxiety, and the causes. b. Introducing the symptoms of stress. c. Approaches and methods to deal with stress and anxiety. d. Educating and practicing diaphragm breathing, visual Imagery, and muscle progressive relaxation. e. Explaining importance of praying and spiritual issues for physical and mental health. a. Techniques to challenge negative thoughts, adaptation strategies, and problem-solving techniques. b. Explaining thoughts, feelings, and behaviors. c. Explaining the concept of development of positive and negative behavioral habits. d. Highlighting the relationship between thoughts and emotions and the idea that our feelings are functions of our thoughts. e. Explaining methods to fight negative thoughts such as recording positive thoughts, forgetting negative thoughts by taking note of them, replacing negative thoughts by positive feelings, adopting new angle to see things and trying to imagine what would happen if thoughts were right? a. Introducing the ways of using the services of clinics and financial support if needed. b. The patients were informed that many services along with hemodialysis like follow up tests and education are available in the clinic for free or for very low cost. d. Information and personal skills trainings were provided throughout the course. - Solving and removing problems and obstacles in the way of motivating the subjects to adopt the proper life style given their condition and answering questions if any. The empowerment program was focused on the items importance of hemodialysis, side-effects, prevention, and treatment, proper life style, and the key needs of the patients (e.g. nutrition, exercise, self-care, stress and anxiety management, and fighting negative beliefs and depression). The first sessions, until three, were dedicated to make sure that the subjects were convinced that changing behavior would be mostly profitable for them and that they were aware of the positive effects on their lives and health condition. In addition to the author, a physician and a nurse attended the second session; in addition, one of the family members of the patients who was trustworthy, lived with the patient, and played the key role in providing health care to the patient, attended the third session. Moreover, and to extend the effectiveness of the intervention, the education content was provided to the family members as a pamphlet. The rest of the topics were discussed between the author and the patients in the fourth to eighth sessions. Each session would be finished by assigning homework to the patients. The homework was based on the educational contents of the same session such as recording the daily problems and side-effects of hemodialysis and relaxation practices. The next session would be started by checking the homework and receiving feedbacks. In addition to face to face follow up, the author would telephone the subjects once a week to ensure proper implementation of the empowerment program and answer questions if any. The research instrument was consisted of two parts, including: a demographic data questionnaire (eight questions on age, gender, marital status, education level, job, financial situation, hemodialysis history, and number of hemodialysis sessions per week) and Sherer’s general self-efficacy scale (GSES). GSES consists of 23 items that was designed by Sherer et al., in 1982. The scale examines individual ideas and his ability to overcome different situations. Scoring of this scale was based on Likert’s five-point scale, which was rated as follows: Strongly Disagree: 1, against: 2, median: 3, agree: 4, and strongly agree: 5 points. Of course, questions 1, 3, 8, 9, 13, and 15 were scored in reverse order, from right to left, so that the highest and lowest points in this questionnaire were 85 and 17, respectively. Sherer et al. (35), reported Cronbachs alpha reliability coefficients equal to 0.86 and checked the validity using construct validity. The validity and reliability of the Persian version of the GSES was previously established by Asgharnejad et al. (36), and reported Cronbach’s alpha reliability of the instrument equal to 0.83. This study was approved by the Institutional Review Board and the Ethics Committee of Kashan University of Medical Sciences (IR.KAUMS.REC.1395.145). The research objectives were explained to all hemodialysis patients and a written informed consent was obtained. All hemodialysis patients were informed regarding voluntary participation and the right for withdrawal at any time. In addition, they were assured that their anonymity will be protected and their personal information will be kept confidential. This study was registered at the Iranian Registry of Clinical Trials (IRCT) with registration code IRCT2017022514086N10. We used the Kolmogorov-Smirnov test to examine the normal distribution of the variables. The analyses were performed on the basis of an intention-to-treat approach. Missing values were controlled using the last observation carried forward (LOCF) method. Descriptive statistics (mean, standard deviation, frequency, and percentage) were calculated. The categorical variables were analyzed using the Chi-square, Fisher’s exact tests, and t-test. The independent-sample t-test was also used to examine the differences between the self-efficacy mean score within the two groups at the beginning and the end of the study. In addition, a paired-sample t-test was used to compare the changes in the self-efficacy mean score of the individual groups at the beginning and the end of the study. The level of significance was considered less than 0.05 in all tests. Statistical analyses were performed using SPSS software version 13 (SPSS Inc., Chicago, IL, USA). The attrition rate for the intervention groups was two participants; this rate was due to irregular participation. The data from 58 patients were analyzed. However, finally as the analysis was done based on an intention-to-treat approach, the data from all participants (30 in each group) were included in the final analyses (Figure 1). The mean age in the intervention group was 51.27 ± 12.12 and in the control group was 51.33 ± 11.48. About 60% of the participants in the intervention group and 76.7% in the control group were male. The results indicated that there was no significant difference between the two groups in terms of the demographic variables, including age, gender, marital status, education level, job, financial situation, hemodialysis history, and number of hemodialysis sessions per week (P > 0.05) (Table 1). At the beginning of the study, results of the independent sample t-tests revealed that there was no significant difference between the two groups in terms of the mean score of the self-efficacy (P = 0.14). After the empowerment program based on the BASNEF model, the mean score of self-efficacy was higher in the intervention group and the difference between the two groups’ self-efficacy was significant (P < 0.002). Results of the paired t-tests showed that the self-efficacy in the intervention group was significantly different before and after the empowerment program based on BASNEF model (P < 0.0001). There was no significant difference between the mean score of self-efficacy in the control group at the beginning and the end of the study (P = 0.17) (Table 2). a Data are expressed as No. (%) except age, hemodialysis history and number of hemodialysis sessions per week that are expressed as mean ± SD. b Obtained from independent t-test. c Obtained from Fisher test. d Obtained from Chi-square test. The finding showed that the empowerment program, based on the BASNEF model significantly improved general self-efficacy of the hemodialysis patients. The authors found no case of direct use of the model on self-efficacy of chronic patients; still, Izadirad et al. (28), carried out a quasi-experimental study to determine efficacy of a BASNEF model-based educational program on self-care behavior of women with hypertension. They reported that the model was effective on improving self-care behaviors. Moreover, Liu et al. surveyed the effectiveness of an educational program based on knowledge, attitude, and behavior on self-care behaviors of hemodialysis patients and reported an increase in self-care and self-management behaviors in the subjects (37). They did not cover two key factors of BASNEF model i.e. enabling factors and subjective norms, which are very important in demonstration of a behavior. Therefore the results of our study confirmed effectiveness of the BASNEF model on self-efficacy and subsequently on the self care of patients. Moreover, the results of the present study are consistent with some studies on empowerment programs for hemodialysis patients (13, 19, 20, 33). Tsay and Hong conducted a study to determine the effectiveness of empowerment program on empowerment, self-efficacy, and depression in ESRD patients. They reported that the implementation of the program created a sense of empowerment, improved self-esteem with regard to self-care, increased self-efficacy, and decrease of depression in hemodialysis patients (20). Moattari et al. (19), like the present study, allowed participation of the patients’ family in the empowerment program. Improvement of self-efficacy, quality of life, and general health of hemodialysis patients were of the outcomes of the empowerment program. Aliasgharpour et al. (33), carried out group self-efficacy improvement program for hemodialysis patients and reported an improvement in their self-efficacy. Royani et al. (13), also reported the positive effectiveness of empowerment program on the ability and self-efficacy of hemodialysis patients in terms of self-care performance. All the studies have used similar bases as the present one, which is empowerment, inducing behavioral changes, and engaging patients in care process. Despite the studies mentioned above, Kauric-Klein et al. (14), reported that self-regulation program was not effective on self-efficacy of hemodialysis patients. These findings might be due to negligence of psychological issues and stress management and short period of the intervention. Still, they reported a strong relationship between self-efficacy and self-care of patients with regard to accepting treatment, decrease in salt consumption, and losing weight between two sessions (14). Wu et al. (15), predicted self-care behavior of patients with chronic long-term renal disease using the concept of self-efficacy. They argued that improving knowledge of the patients about their disease was a way to improve self-efficacy. Improvement of self-efficacy increases patients’ desire for self-care and results in effective disease management by the patients. Meanwhile, critical care nurses should act as an advocator and educator for these patients, so that these patients receive the best nursing care and acquire the necessary knowledge for self-care and self-efficacy. Success of the studies similar with the present one in causing positive changes is rooted in the fact that empowerment programs result in an increase in self-care and self-efficacy through improving knowledge, awareness, will, and self-esteem of the patient (13, 19). Self-efficacy is a key internal factor effective on long-term control over chronic diseases (38). In fact, the emphasis of the empowerment program on different aspects of self-efficacy or more desire in the patients to have independence is a reason for the increase in self-efficacy of patients. Increase of self-efficacy helps to better control the problems of hemodialysis patients and subsequently improves the health condition of patients. This study had some limitations. We used Sherer's general self-efficacy tool for data gathering, therefore, it is recommended that researchers used the special self-efficacy tool of hemodialysis patients in future studies. In addition, the participants had the chance to communicate with each other outside the clinic and the authors had no control in this regard. An empowerment program based on the BASNEF model improved general self-efficacy of hemodialysis patients. The increase in self-efficacy led to an increase in the ability to control hardships and side-effects of the disease in hemodialysis patients. This means an improvement in the health condition of the patients. Thereby, hemodialysis patients need to be motivated to implement empowerment programs based on behavioral models and accept the responsibility of looking after themselves. Authors' Contribution: Zahra Saeidnejad: searching, doing intervention, and writing the manuscript; Mohammad Aghajani: developed the original idea, study design, analysis and interpretation of data; Neda Mirbagher Ajorpaz: data gathering and writing the manuscript. Funding/Support: This study was fully funded and supported by the Deputy of Research, Kashan University of Medical Sciences (KAUMS), Grant No: 95142. 1. Saran R, Robinson B, Abbott KC, Agodoa LY, Albertus P, Ayanian J, et al. US renal data system 2016 annual data report: epidemiology of kidney disease in the United States. Am J Kidney Dis. 2017;69(3 Suppl 1):A7-8. doi: 10.1053/j.ajkd.2016.12.004. [PubMed: 28236831]. 2. Li H, Jiang YF, Lin CC. Factors associated with self-management by people undergoing hemodialysis: a descriptive study. Int J Nurs Stud. 2014;51(2):208-16. doi: 10.1016/j.ijnurstu.2013.05.012. [PubMed: 23768411]. 3. Chen JY, Wan EY, Chan KH, Chan AK, Chan FW, Lam CL. Evaluation of the quality of care of a haemodialysis public-private partnership programme for patients with end-stage renal disease. BMC Nephrol. 2016;17(1):79. doi: 10.1186/s12882-016-0284-9. [PubMed: 27401348]. [PubMed Central: PMC4940909]. 4. Checherita IA, Turcu F, Dragomirescu RF, Ciocalteu A. Chronic complications in hemodialysis: correlations with primary renal disease. Rom J Morphol Embryol. 2010;51(1):21-6. [PubMed: 20191115]. 5. Raj R, Ahuja KD, Frandsen M, Jose M. Symptoms and their recognition in adult haemodialysis patients: Interactions with quality of life. Nephrology (Carlton). 2017;22(3):228-33. doi: 10.1111/nep.12754. [PubMed: 26891151]. 6. Sattar S, Khan N, Ahmad F, Adnan F, Danish SH. Post-dialysis effects in patients on haemodialysis. J Pak Med Assoc. 2016;66(6):781-8. [PubMed: 27339592]. 7. Gerogianni S, Babatsikou F, Gerogianni G, Koutis C, Panagiotou M, Psimenou E. Social life of patients undergoing haemodialysis. Int J Caring Sci. 2016;9:122-34. 8. Shahnazi H, Bee Koon P, Abd Talib R, Lubis SH, Ganjali Dashti M, Khatooni E, et al. Can the BASNEF model help to develop self-administered healthy behavior in Iranian youth? Iran Red Crescent Med J. 2016;18(3). e23847. doi: 10.5812/ircmj.23847. [PubMed: 27231582]. [PubMed Central: PMC4879761]. 9. 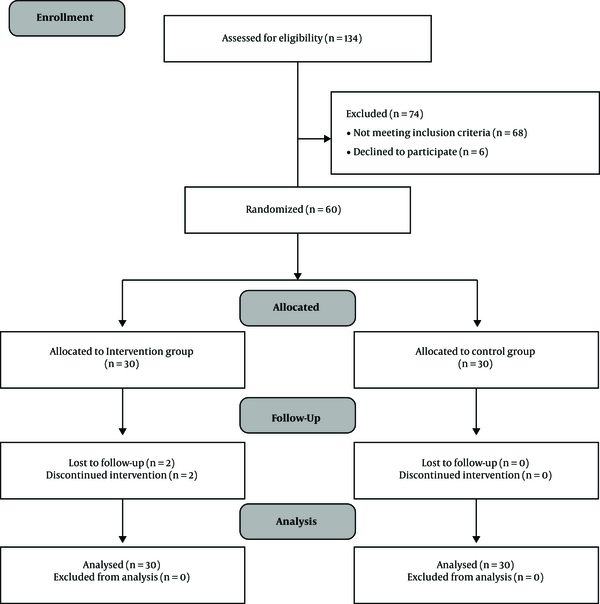 Ghimire S, Castelino RL, Lioufas NM, Peterson GM, Zaidi ST. Nonadherence to medication therapy in haemodialysis patients: A systematic review. PLoS One. 2015;10(12). e0144119. doi: 10.1371/journal.pone.0144119. [PubMed: 26636968]. [PubMed Central: PMC4670103]. 10. Clark-Cutaia MN, Ren D, Hoffman LA, Burke LE, Sevick MA. Adherence to hemodialysis dietary sodium recommendations: influence of patient characteristics, self-efficacy, and perceived barriers. J Ren Nutr. 2014;24(2):92-9. doi: 10.1053/j.jrn.2013.11.007. [PubMed: 24462498]. [PubMed Central: PMC3985276]. 11. Rafiee Vardanjani L, Parvin N, Mahmoodi Shan G. The effects of an individual, multistep intervention on adherence to treatment in hemodialysis patients. Disabil Rehabil. 2015:1-5. doi: 10.3109/09638288.2015.1061601. [PubMed: 26122544]. 12. Curtin RB, Walters BA, Schatell D, Pennell P, Wise M, Klicko K. Self-efficacy and self-management behaviors in patients with chronic kidney disease. Adv Chronic Kidney Dis. 2008;15(2):191-205. doi: 10.1053/j.ackd.2008.01.006. [PubMed: 18334246]. 13. Royani Z, Rayyani M, Behnampour N, Arab M, Goleij J. The effect of empowerment program on empowerment level and self-care self-efficacy of patients on hemodialysis treatment. Iran J Nurs Midwifery Res. 2013;18(1):84-7. [PubMed: 23983734]. [PubMed Central: PMC3748561]. 14. Kauric-Klein Z, Peters RM, Yarandi HN. Self-efficacy and blood pressure self-care behaviors in patients on chronic hemodialysis. West J Nurs Res. 2017;39(7):886-905. doi: 10.1177/0193945916661322. [PubMed: 27456461]. 15. Wu SF, Hsieh NC, Lin LJ, Tsai JM. Prediction of self-care behaviour on the basis of knowledge about chronic kidney disease using self-efficacy as a mediator. J Clin Nurs. 2016;25(17-18):2609-18. doi: 10.1111/jocn.13305. [PubMed: 27364760]. 16. Bag E, Mollaoglu M. The evaluation of self-care and self-efficacy in patients undergoing hemodialysis. J Eval Clin Pract. 2010;16(3):605-10. doi: 10.1111/j.1365-2753.2009.01214.x. [PubMed: 19874435]. 17. Lindberg M, Fernandes MA. Self-efficacy in relation to limited fluid intake amongst Portuguese haemodialysis patients. J Ren Care. 2010;36(3):133-8. doi: 10.1111/j.1755-6686.2010.00182.x. [PubMed: 20690965]. 18. Anderson RM, Funnell MM. Patient empowerment: myths and misconceptions. Patient Educ Couns. 2010;79(3):277-82. doi: 10.1016/j.pec.2009.07.025. [PubMed: 19682830]. [PubMed Central: PMC2879465]. 19. Moattari M, Ebrahimi M, Sharifi N, Rouzbeh J. The effect of empowerment on the self-efficacy, quality of life and clinical and laboratory indicators of patients treated with hemodialysis: a randomized controlled trial. Health Qual Life Outcomes. 2012;10:115. doi: 10.1186/1477-7525-10-115. [PubMed: 22992449]. [PubMed Central: PMC3520754]. 20. Tsay SL, Hung LO. Empowerment of patients with end-stage renal disease--a randomized controlled trial. Int J Nurs Stud. 2004;41(1):59-65. doi: 10.1016/S0020-7489(03)00095-6. [PubMed: 14670395]. 21. El-Melegy OA, Al-Zeftawy AM, Khaton SE. Effect of family centered empowerment model on hemodialysis patients and their caregivers. J Nurs Educat Pract. 2016;6(11). doi: 10.5430/jnep.v6n11p119. 22. Karamanidou C, Weinman J, Horne R. Improving haemodialysis patients' understanding of phosphate-binding medication: a pilot study of a psycho-educational intervention designed to change patients' perceptions of the problem and treatment. Br J Health Psychol. 2008;13(Pt 2):205-14. doi: 10.1348/135910708X288792. [PubMed: 18302808]. 23. De Rosa S, Samoni S, Villa G, Ronco C. Management of chronic kidney disease and end-stage kidney disease patients in the intensive care unit. In: Ronco C, Bellomo R, Kellum JA, Ricci Z, editors. Critical care nephrology. Philadelphia; 2019. p. 1286-92.e3 p.
24. Haines KJ, Beesley SJ, Hopkins RO, McPeake J, Quasim T, Ritchie K, et al. Peer support in critical care: A systematic review. Crit Care Med. 2018;46(9):1522-31. doi: 10.1097/CCM.0000000000003293. [PubMed: 29957717]. 25. Hidayat AI, Kongsuwan W, Nilmanat K. Nurse involvement in end of life decision making in the intensive care unit: A literature review. J Nurs Health Care. 2018;5(1). 26. Hubley J. Understanding behaviour: The key to successful health education. Trop Doct. 1988;18(3):134-8. doi: 10.1177/004947558801800316. [PubMed: 3406993]. 27. Arani MD, Taghadosi M, Gilasi HR. The effect of education based on basnef model on lifestyle in patients with hypertension. Iran Red Crescent Med J. 2017;19(11). doi: 10.5812/ircmj.40731. 28. Izadirad H, Masoudi GR, Zareban I. [Evaluation of efficacy of education program based on BASNEF model on Self-care behaviors of women with hypertension]. J Zabol Univ Med Sci. 2014;6(1):42-51. Persian. 29. Hazavehei S, Sharifirad G, Kargar M. The comparison of educational intervention effect using BASNEF and classic models on improving assertion skill level. J Res Health Sci. 2008;8(1):1-11. [PubMed: 23343991]. 30. Sharifirad G, Najimi A, Hassanzadeh A, Azadbakht L. Application of BASNEF educational model for nutritional education among elderly patients with type 2 diabetes: Improving the glycemic control. J Res Med Sci. 2011;16(9):1149-58. [PubMed: 22973383]. [PubMed Central: PMC3430039]. 31. Jakimowicz S, Perry L, Lewis J. Insights on compassion and patient-centred nursing in intensive care: A constructivist grounded theory. J Clin Nurs. 2018;27(7-8):1599-611. doi: 10.1111/jocn.14231. [PubMed: 29266484]. 32. Baghianimoghadam MH, Rahaee Z, Morowatisharifabad MA, Sharifirad G, Andishmand A, Azadbakht L. Effects of education on self-monitoring of blood pressure based on BASNEF model in hypertensive patients. J Res Med Sci. 2010;15(2):70-7. [PubMed: 21526062]. [PubMed Central: PMC3082790]. 33. Aliasgharpour M, Shomali M, Moghaddam MZ, Faghihzadeh S. Effect of a self-efficacy promotion training programme on the body weight changes in patients undergoing haemodialysis. J Ren Care. 2012;38(3):155-61. doi: 10.1111/j.1755-6686.2012.00305.x. [PubMed: 22429325]. 34. Scott D, Bieber DO, Himmelfarb J. Treatment methods for kidney failure: Hemodialysis 2016. 2016, [cited 04 February]. Available from: https://www.niddk.nih.gov/health-information/health-topics/kidney-disease/hemodialysis/Pages/facts.aspx. 35. Sherer M, Maddux JE, Mercandante B, Prentice-Dunn S, Jacobs B, Rogers RW. The self-efficacy scale: Construction and validation. Psycholog Reports. 2016;51(2):663-71. doi: 10.2466/pr0.1982.51.2.663. 36. Asgharnejad T, Ahmadi Deh Ghotbadini M, Farzad V, Khodapanahi MK. The study of psychometrics properties of Sherer self-efficacy scale. J Psychol. 2006;2(10):262-74. 37. Liu L, Liu YP, Wang J, An LW, Jiao JM. Use of a knowledge-attitude-behaviour education programme for Chinese adults undergoing maintenance haemodialysis: Randomized controlled trial. J Int Med Res. 2016;44(3):557-68. doi: 10.1177/0300060515604980. [PubMed: 26951842]. [PubMed Central: PMC5536721]. 38. Moein M, Aghajani M, Ajorpaz NM, Khorasanifar L. Effect of an empowerment program on self-efficacy of patients with type 2 diabetes. Iran Red Crescent Med J. 2017;19(1). doi: 10.5812/ircmj.29252.